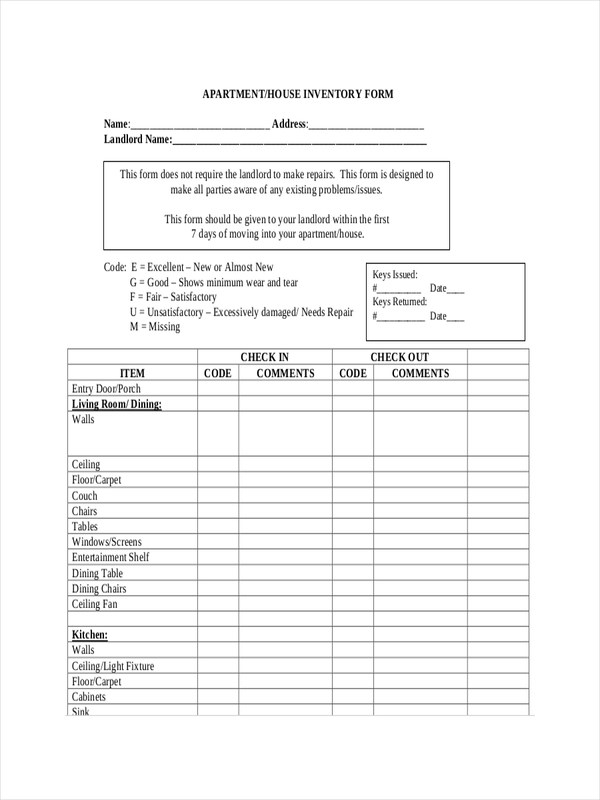 An inventory or inventory list is a document which primarily includes a list of items and other things for consideration. In a business, it is considered as a tool in conducting an inventory, as well as in managing and monitoring the stock of goods, materials, or equipment needed for your business operations. Ordinary people also make use of inventory lists in keeping track of the items in their storage area. For example, a classroom inventory is used by school staff to monitor classroom availability, or amount of equipment in classrooms, and may also be used by a teacher to monitor the some behaviors exhibited by his/her students in class. 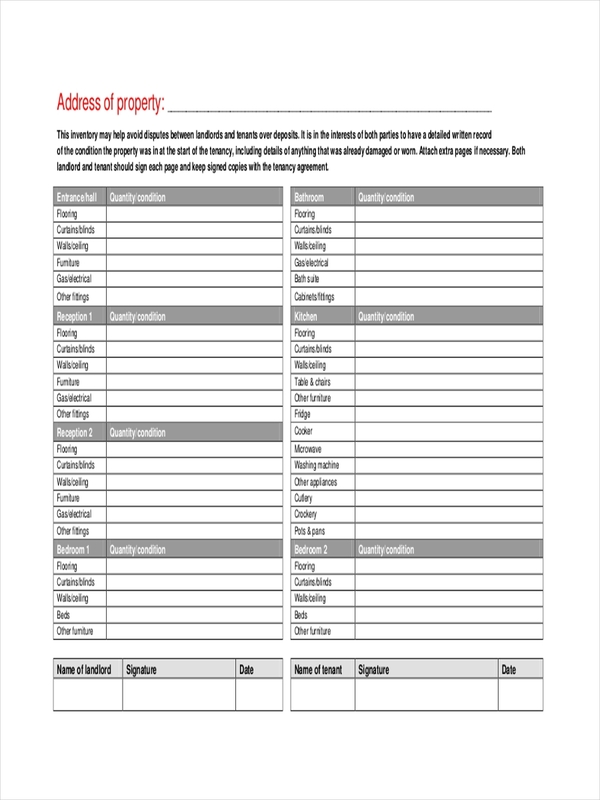 A landlord inventory list is a tool listing the contents (e.g. furniture, appliances, etc.) of a certain property, including the descriptions for each contents. 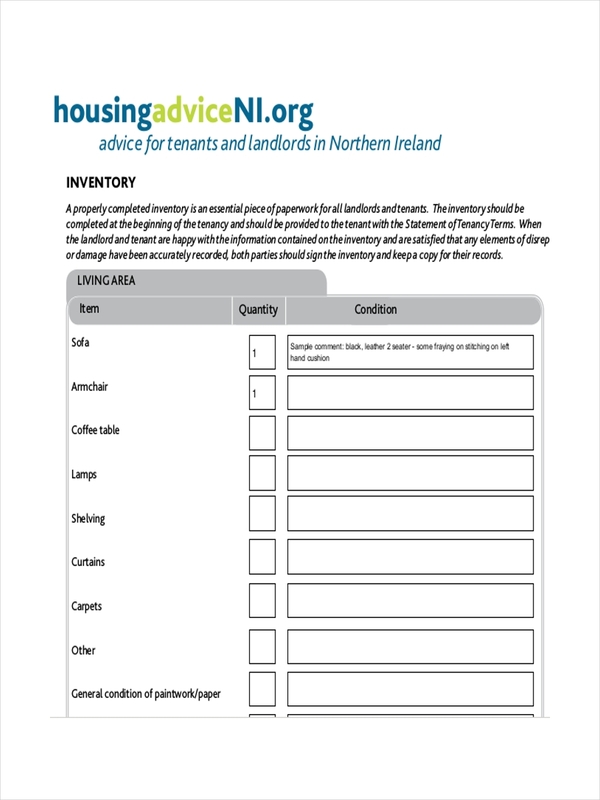 Landlords or property owners are the ones who commonly use such inventory list when monitoring the condition of the contents and the property itself before a tenant moves in. Such process is also done before a tenant moves out, to inspect damages (if any) to the contents or property so the tenant can be held liable. Conducting the necessary checks and inventory in a property is a must for every landlord or property owner. This is to ensure that the contents of the property is in good condition before renting the property to certain tenants. 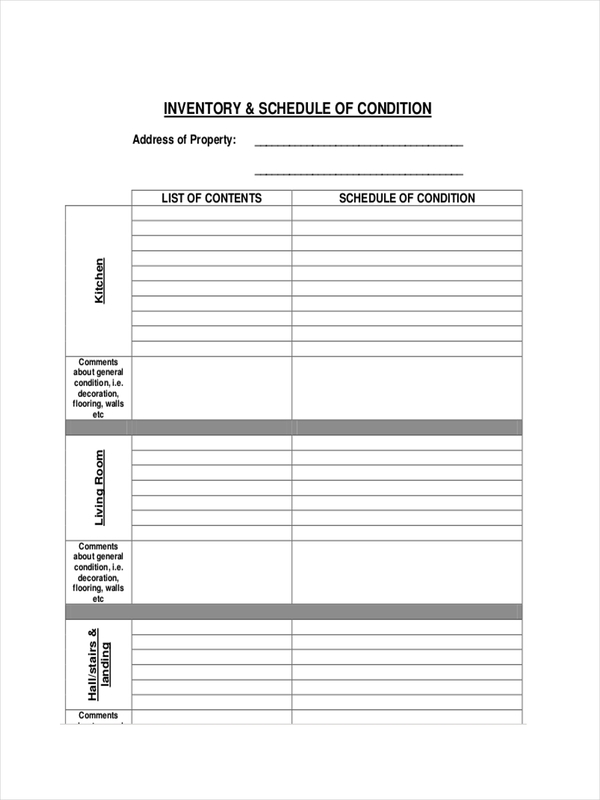 With a landlord inventory list, a landlord can check the condition of the property and its contents, and make the necessary measures if a content or property is damaged or in bad shape. Doing an inventory before a tenant leaves also helps a landlord monitor the property, its contents, and their condition in case they were changed or damaged during the tenant’s stay. In this case, the landlord and the tenant can immediately come to an agreement on how to deal with the matter. Conducting an property inventory or check is a task some landlords fail to do. However, every landlord must know that it is an important process before renting his/her property. Luckily, writing a landlord inventory, can be made easy by keeping the following things in mind. 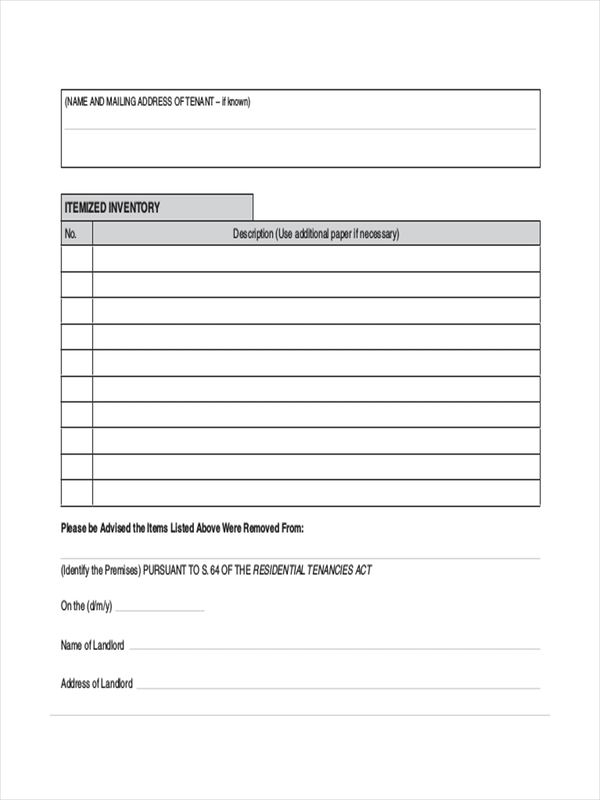 In your inventory, include the property address, name of landlord, name of tenant, and the date of conducting the inventory or property check. Make a list of the contents found in the property. You may categorize each item for every part of the house (e.g. kitchen, bedroom, etc). Identify each item, and write a description of the property itself and its contents. Inspect the condition of each contents, and the property as a whole. Write a comment for every detail you observe using simple words. You may use letter coding for easy identification of the condition of the property and its contents (e.g. E for excellent, G for good, etc). Recheck your inventory examples list a few more times before concluding if the property is good for renting or not. Make sure the details you gave are accurate, to avoid future conflicts.